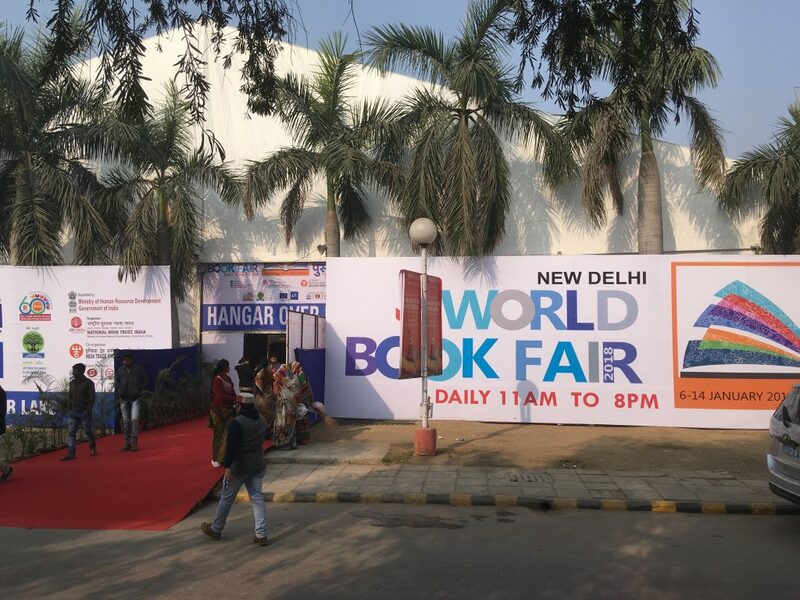 My wife Line and I were invited to the World Book Fair by the Danish Embassy in New Delhi and both had a ton of programmed events. 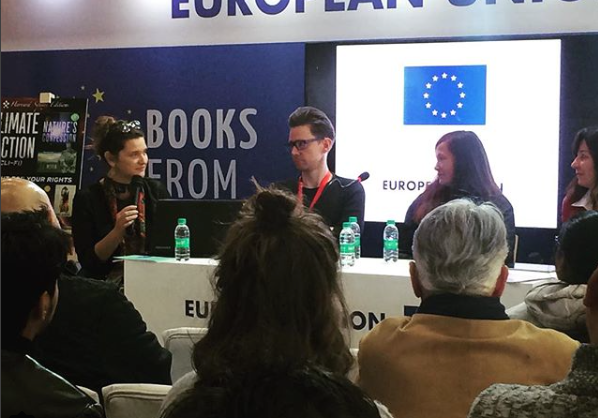 I taught three comic courses, gave a talk on creative freelancing and took part in a panel discussion on International book marketing and my wife read aloud from her children’s book Noah’s Ark II. Not having slept through the night, it was somewhat rough to get picked up for the festival just two hours after landing. 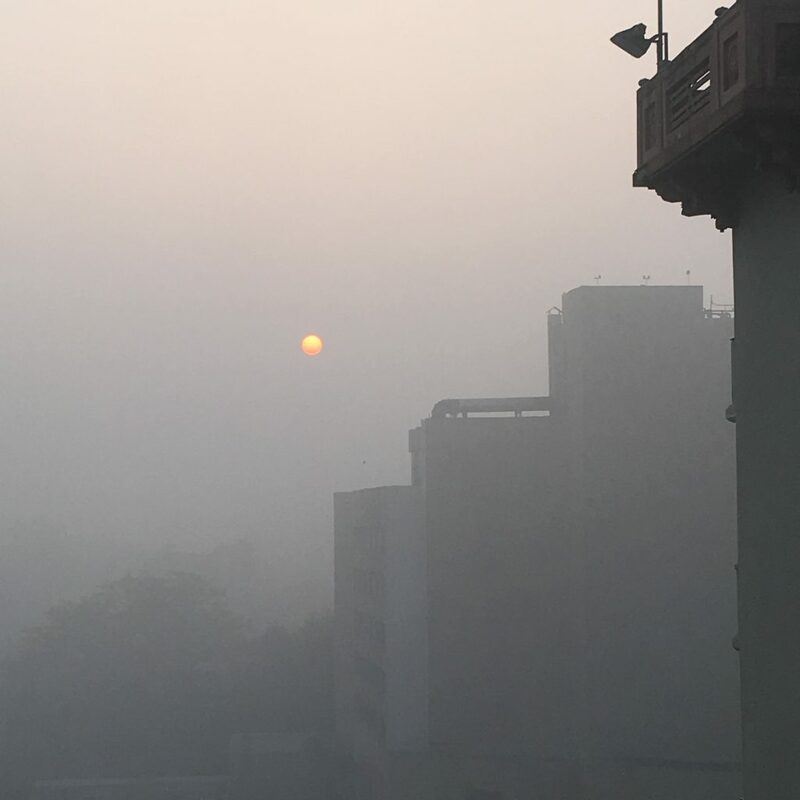 But the adrenaline soon kicked in as we were escorted through Pragati Madan, a massive complex of industrial looking buildings, hangars, tents and food courts. With construction going on all through the festival, it was hard to find your way around as the dusty routes to the festival seemed to change on a daily basis. People were still setting up and sweeping the area with brooms that looked like a bunch of twigs tied together as we entered through hangar 7 to the EU pavillion. 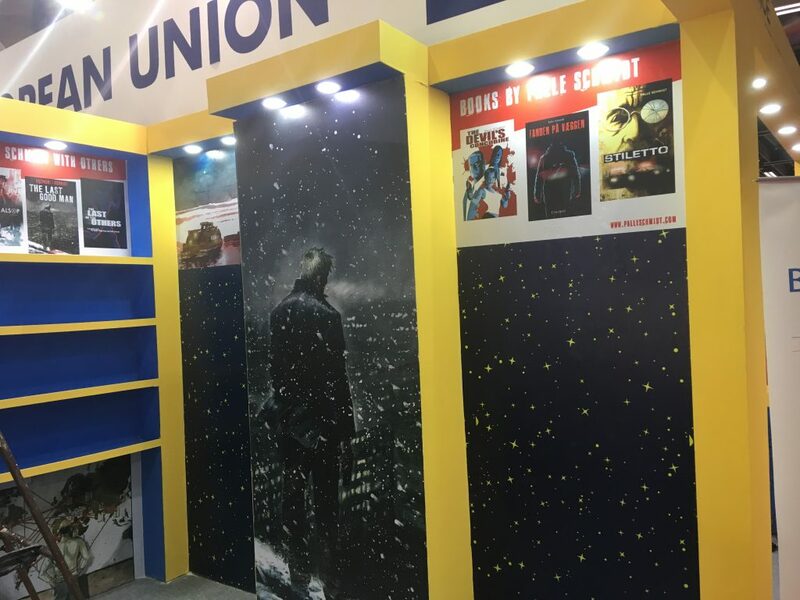 Here countries like Slovenia, France and Sweden had set up booths promoting their authors and the Danish booth was plastered with my artwork. Pretty cool! Soon we were ushered off to the opening ceremony which took place in a nearby tent and consisted of mainly talks in Hindi and a few in English, as well as live traditional music. Soon after that we had a reading to do and we had to improvise quite a bit, as the very young audience didn’t understand a lot of English. Line took center stage and was able to use her teaching background to navigate the chaos and uan interpreter was there to help out. Day 2 began with a “CEOspeak” breakfast at our fancy hotel, with keynotes in English, Hindi and French about the status of the book market, the opportunities of coorperation between the EU and India, new means of distribution and the need to tackle digital to ensure a diverse and locally grounded literature landscape. We sat at round tables and listened, while we had fruit, indian pancakes, different types of bread and stuff I have no idea what was. All good though! 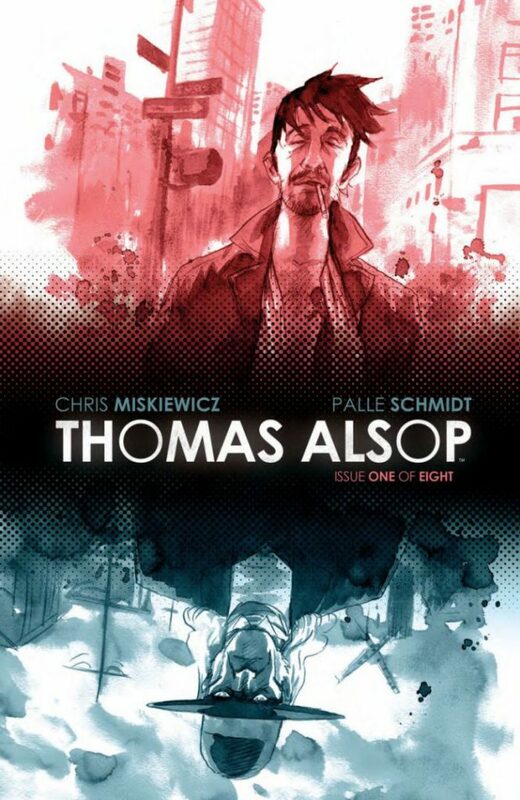 I had been placed next to a major comics publisher so that was either a stroke of luck or someone smart doing the table plans. Soon after the reading the first day my wife got hit with stomach flu or what is lovingly referred to as “Delhi Belly.” This had her confined to the hotel all of day 2. Luckily she didn’t have any readings that day but I had both a comics class and a talk on how to be a successful freelancer, one of my favorite topics and certainly my favorite talk of the festival, with a very engaged audience. 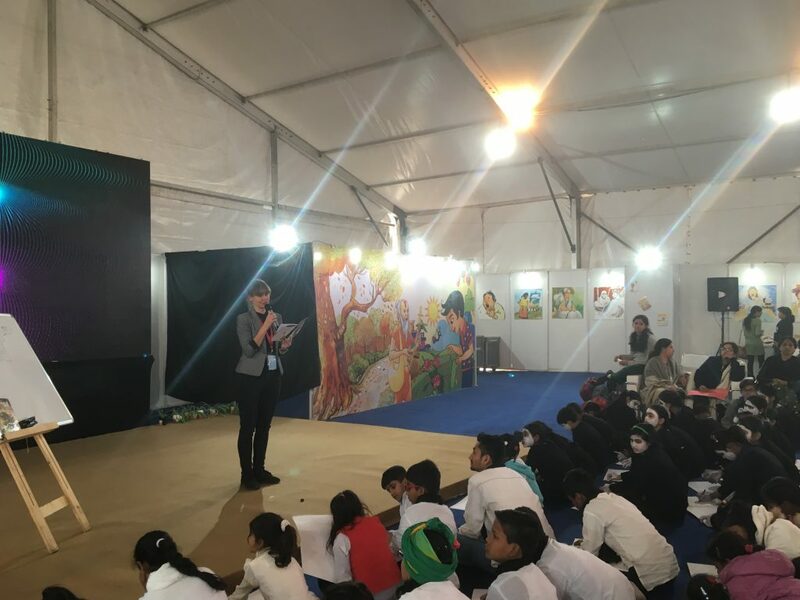 Line was back in stride for day 3, where she did another reading at the Children’s Pavillion and I had a panel to take part in. I had another comics course to teach on day 4 but by this time I was experienced in talking to that age group and the interpreter had a better understanding of the topic by now. When we weren’t doing these events we pretty much stayed at the Danish booth where hundreds of people came up to us over the few days asking questions about our books and wanting selfies – not because we are famous in by any standards but simply because we are both blonde! 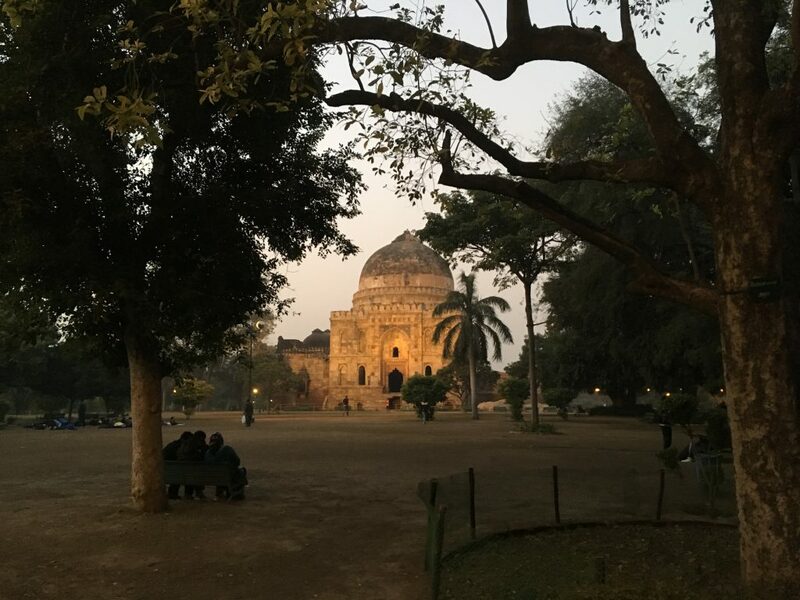 We didn’t have much chance to see the city save for the last day when we cut out after my workshop to take a stroll in the beautiful and serene Lodhi Gardens, where parrots and eagles soar over the ancient tombs that are spread throughout the park. 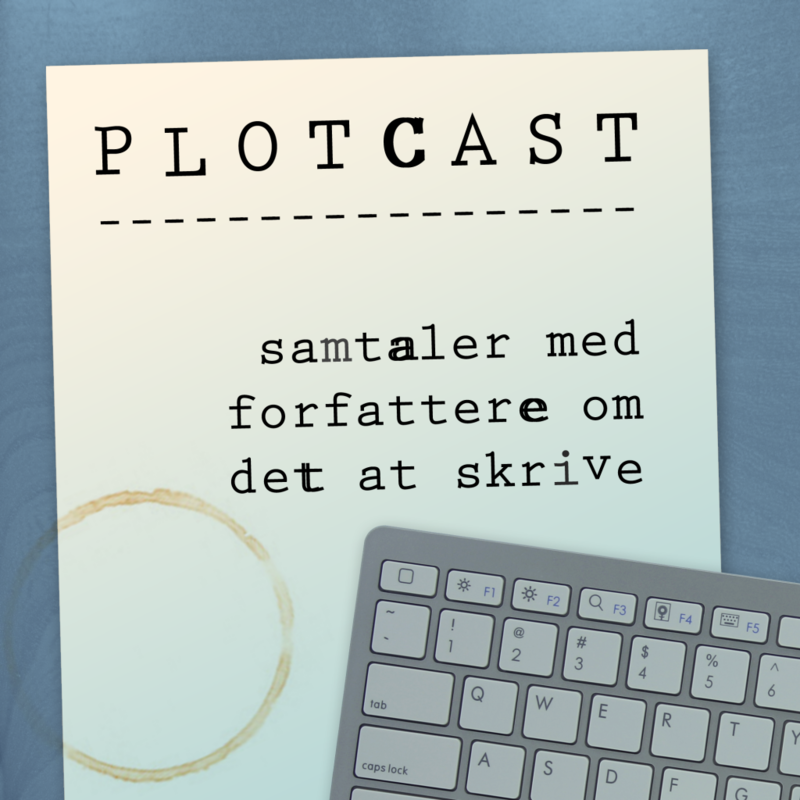 Now I’m back in Copenhagen trying to catch up on work and follow up emails – I have a large stack of business cards from interested publishers and agents. It was great to connect with fellow writers from other countries as well as meet the Indian readers. Hopefully this trip will pay off in terms of foreign markets but even if it doesn’t, it was a thrilling experience that we won’t soon forget. To see more pictures from the fair check out my Instagram page. For a short video greeting from the festival go here.